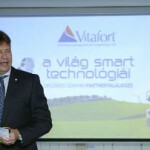 “Danish company Vestfrost will be expanding its existing refrigerator production and storage capacities in the city of Csongrád with an investment of 4.4 billion forints (EUR 13.5 million), towards which the Hungarian State will be providing 1.05 billion forints (EUR 3.2 million) in government funding; the investment will create 93 new workplaces”, Minister of Foreign Affairs and Trade Péter Szijjártó announced.The Minister told reporters that 150 Danish companies have invested over 230 billion forints (EUR 707 million) in Hungary and employ over 15 thousand Hungarians, while through their modern technologies they contribute significantly to enabling the Hungarian economy to successful cross the threshold into a new kind of economic era. 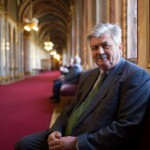 “Danish-Hungarian economic cooperation is not hindered by political difficulties; last year Hungarian-Danish trade flow increased by 13 percent to exceed 1.3 billion euros, and already exceeded 1 billion euros during the first nine months of this year”, he declared. Mr. Szijjártó recalled that the Danish owner purchased the local refrigerator plant in 2010, which it has since developed into the city of Csongrád’s largest industrial facility, which not only manufactures, but also performs research and development activities. 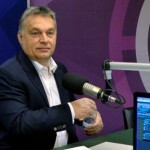 “The refrigerators produced in Csongrád are made from 100 percent environmentally friendly materials, their pollutant emissions conform to international regulations, and 98 percent of the products are exported, as a result of which the investment also plays an important role in Hungarian economic performance”, the Minister said. Mr. Szijjártó pointed out that the number of people in employment in Hungary has exceeded 4.5 million for the first time since the regime change (1989), and the significant increase in numbers is primarily due to private sector investments. He reminded the press that in 2010 the Government felt it necessary to create 1 million new jobs over 10 years to improve the country’s competitiveness. Over 800 thousand new workplaces have been created in Hungary during the past 8 years, and Hungary’s unemployment rate is the fourth lowest in the European Union, tied with the Netherlands. The Minister also spoke about the fact that the level of investment in Hungary is continuously increasing, explaining that 67 major investments arrived in Hungary in 2015 with the involvement of the Hungarian Investment Promotion Agency (HIPA), 71 in 2016 and 97 in 2017. At the press conference, CEO of Vestfrost Cls. László Gattyán said the Danish owner is continuously expanding its plant in Csongrád and currently employs 175 people, with staff numbers increasing by a further 93 thanks to the investment. 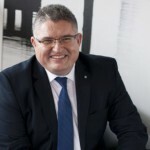 Parliamentary State Secretary Sándor Farkas from the Ministry of Agriculture, the region’s Member of Parliament, told the press that the Danish investment is also bringing a new approach to the city of Csongrád, and represents a major technical base in a characteristically agricultural area.